Offering you a complete choice of products which include zinc plated steel precision machined parts. 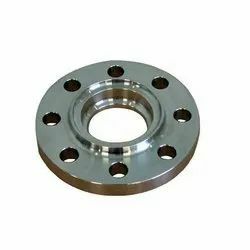 We can provide high quality steel parts (As per grade) with galvanizing, zinc plating at very competitive prices. Parts can be supplied with painting and powder coated finish as well if required. Packaging Details: Packed carefully in corrugated boxes and then in Wooden Fumigated boxes (for export). Each part wrapped carefully to avoid transit damage. Looking for Zinc Plated Machined Steel parts ?